Keeping online marketing projects “in-house” can sometimes do wonders for a company. However, in the funeral industry, we don’t quite see that magic. As we visit with hundreds of funeral homes and cemeteries across the nation each year, we meet some firms who insist on their marketing work done in-house by their own staff. When we refer to work done “in-house” it can mean anyone from front desk staff, the owner’s teenage daughter, or a friend of a friend ‘doing it on the side’. Online marketing should be done by professionals who have skills in social media and digital marketing. Rarely are in-house staff equipped with those skills. And why should they be? You only hire those who can serve your community best. To get the get the maximum benefit from your social media presence, you want to utilize a team with experience, making social media and digital marketing easy, accessible and effective. Below are five social media blunders that funeral homes are making. Failing to use a scheduling system for your posts can leave your team spending too much time on social media, when it could be spent serving families. We see this blunder all too often. We all know the unpredictability in the death care industry. Trying to keep a consistent presence on social media platforms while managing schedules that are constantly in flux leaves too much room for error. Automating the majority of your social media posting is the best way to deliver a consistent message to your community. Adding local events and current event posts in real time is okay as long as you have an automated system to fall back on when the schedule gets busy. Another mistake teams can make with their social media marketing is not using call-to-actions and forms to funnel your lead generation. Maintaining a robust posting schedule is great, but if there is no way to channel those likes, shares and comments into your sales funnel, you’re missing a big opportunity for potential clients. Ideally, you want a combination of catchy and educational Facebook posts and ads that reach your targeted audiences and get results. Each post should be customized with your brand name and logo, for added awareness- especially since you’ll be reaching individuals outside of your current fan base. Appropriate CTAs drive only those truly interested to take an action. By utilizing CTAs, you create an effective way to convert a lead and in return give them valuable information they’re interested in. Too often, teams get in the trap of using social media content without a direction or strategy. If you are posting on Facebook because you think you need to be ‘present’ but aren’t using all that’s available to your firm’s advantage, you are losing potential customers and opportunities for growth. It’s so important to track individuals in your community as they get to know your firm. When someone sees a Facebook ad you’ve run, opens emails you’ve sent, or inquires about something through a Facebook comment, you can and should be tracking that impact you’ve had on them. Knowing when a contact becomes a lead is important. Facebook Analytics in combination with a Customer Relationship Management (CRM) tool help to make measuring possible, showing you where you’re getting the greatest impact. There are so many social media channels in play, it can be overwhelming for firms to know where to focus their time and effort and maximize the ROI for their funeral home. 79% of adults in the US are on Facebook. The best way to reach people is to be present where they spend their time. In fact, 1.37 billion people log onto Facebook every single day. This becomes a blunder when firms don’t choose to break up their audiences. Certain topics are built to speak to women over 50, where others are meant for ages 35-55. Knowing what message resonates with your targeted audience is the first step. The second is to adjust your ad budget to speak to them directly, saving you from wasting ad dollars on uninterested parties. Facebook allows us to hyper-target based on demographics, like location, age, gender, and education. Facebook’s paid advertising feature finds new audiences within your target market. Quality content drives quality leads. It’s that simple. Boring, uninspiring content will not resonate with your community. Although content created in-house can be high quality, what is the price you’re willing to pay for it to be created consistently? Does your staff have the hours to spend working on quality, varied pieces of content? We see that it’s best to switch up the content you offer. If you run an ad for a Pre-planning Guidebook, it’s best to switch it to something that’s more engaging and educational for the following topic, so you don’t burn out your audience on “heavier” topics such as death-care planning. Some great topics to rotate through are cremation options, grief resources, hospice help, preplanning first steps and more. 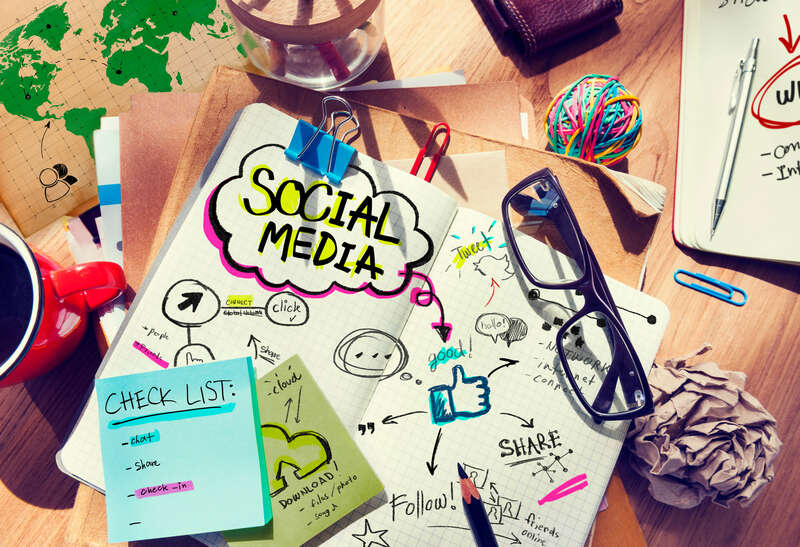 Is your firm guilty of doing any of these five Social Media Blunders? If so, don’t wait to contact us! At Funeral Innovations, we take care your firm’s online marketing. We attract interested individuals, nurture them through our CRM to get you leads who are ready to convert. That way, you can make more sales with less selling!